I seem to be going through a Paint obsession right now, almost a year after I first picked it up at Market – nothing like being cutting edge, right? 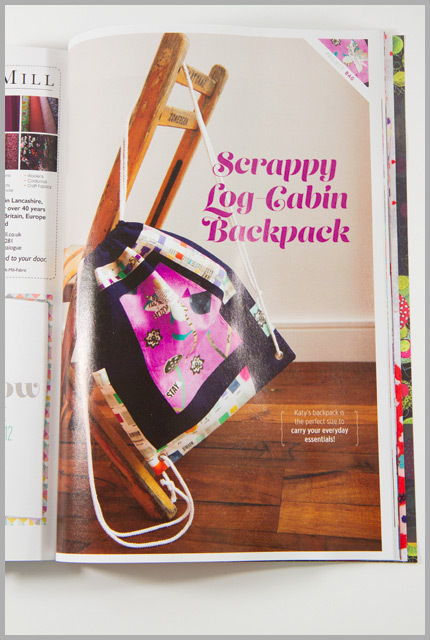 ;o) Anywho, Issue 11’s theme was jewel tones, and you know, the purple Paint print just leapt out at me. I had just been chopping up bits for the UK mini swap mini, and I happened to have a couple of extra large scraps of this print in particular, kindly donated by the lovely Rachael of Imagine Gnats, so it was clearly meant to be! 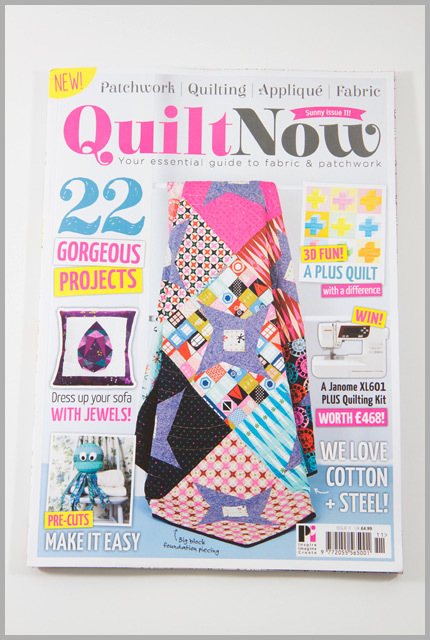 My blinking tescos is rubbish – 150 card making magazines and hardly any quilting ones, I'll look again next time I'm in there!